In trying to keep up with my goals of creating new knitting patterns for the shop this year, I'm thinking a monthly knit~a~long might be in order!! One pattern a month (doable, right?!) and we can all share our pictures on a flicker group. What do you think? I'm thinking hats, socks, small stuff... but I'd love to know if you're up for something larger like vests, sweaters, jackets, etc. 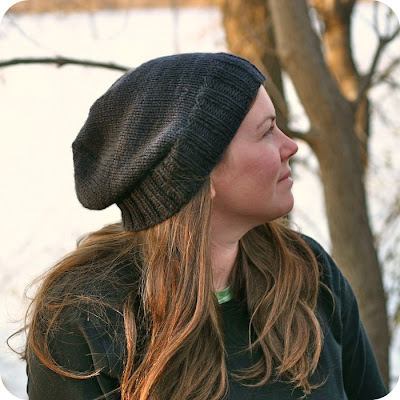 Here's my first pattern of the year, Kendall ~ The Basic Slouchy Hat. I wrote about it here a while back. I'll post the first knit~a~long pattern on January 31st.